The government had set a target of building 1 crore houses by 2019. 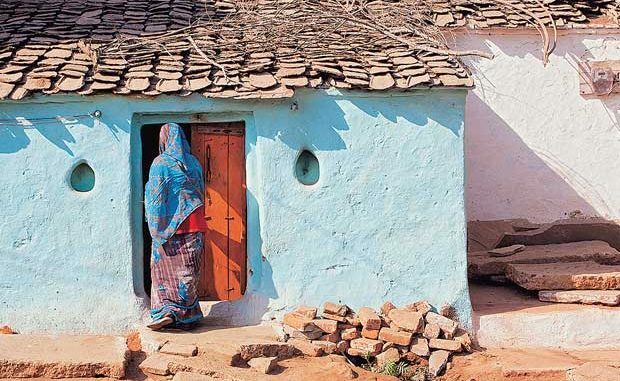 The centre has urged 22 states and union territories to claim funds for the construction of houses under Prime Minister Awas Yojana-Grameen (PMAY-G) so that the target of building one crore houses can be achieved by March 31, 2019. According to a report published in the Economic Times, the government confirmed it has enough funds available to achieve the target. The centre had set a revised aim, ending this year end for the rural development ministry, to accomplish the task, but judging from the progress, the Centre might be realising that it might be difficult for it to achieve the target. So far, 56 lakh houses have been reportedly completed under the scheme while the final instalment has been released for 26 lakh houses. But most states have yet to claim full funds from the centre for 2017-18 and some even for 2016-17, triggering concern. Bihar, Andhra Pradesh, Maharashtra, Telangana and Tamil Nadu are among the states, which have not yet met the targets set for them under the scheme. The Bihar government, for example, has not submitted any proposal to claim funds for 2017-18 and has completed only 1.82 lakh houses so far against its allotted target of 11.76 lakh houses. Andhra Pradesh, against a target of 1.23 lakh houses, has completed only 28,000 houses so far. The Maharashtra government has completed 2.56 lakh houses out of its target of 4.5 lakh houses and not claimed money from the Centre since the second half of 2017-18. Similar is the case with Tamil Nadu, which has completed only 1.13 lakh houses out of its allotted target of 3.27 lakh houses. Pradhan Mantri Awas Yojana (PMAY) is an initiative by the Government of India, launched in June 2015, in which affordable housing will be provided to the urban poor with a target of building 20 million affordable houses by 31 March 2022. It has two components: Pradhan Mantri Awas Yojana (Urban) (PMAY-U) for the urban poor and Pradhan Mantri Awaas Yojana (Grameen) for the Rural poor.